This is an all in one garden machine. It will not only cut, catch and mulch your lawn but will also help clean up those unwanted prunings and garden waste through the Masport exclusive 35mm Chipper Chute. 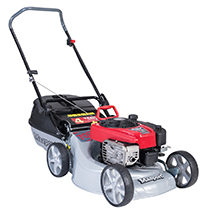 A very powerful 800 series engine will make light work of the lawn mowing and power through branches if need be.